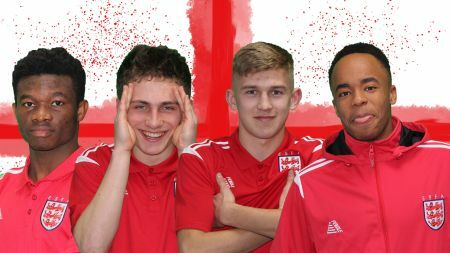 With the inaugural Schools Football Week taking place this week, the ESFA have been giving you an introduction to our wonderful International squads. Before the main event of the Under 15 Girls squad, we need to introduce the front line of our Under 18 Boys. The attackers that have made it into this season’s squad show great versatility in the roles, styles and positions that they perform exceptionally in. The diversity in style hasn’t stopped a group of great young footballers becoming an excellent team. Jack is as rare as a super blue blood moon in football as he plays predominantly as a striker or centre forward but is also a capable goalkeeper. 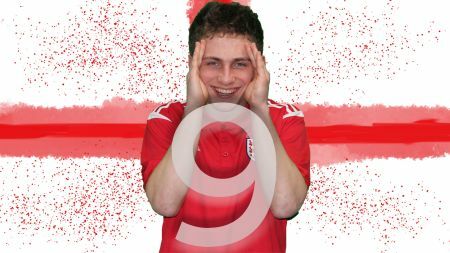 Jack plays for King Edward VI School and Northumberland County and is a devout Newcastle United fan. His favourite footballer is Hatem Ben Arfa for his brilliant skills and his ability to win a game by himself. He used the example of his wonder goal that he scored running half the pitch against Bolton Wonderers. 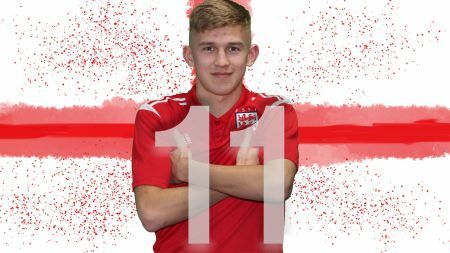 Jack is also known as Bubler and lists Alan Shearer and Zlatan Ibrahimovic as his favourite football personalities; Shearer as he is a local hero and he finds both players entertaining and interesting characters. Jack is also a capable musician being a grade 5 flautist and guitar player. He is also a big fan of Peaky Blinders with his favourite character being Tommy Shelby. David is a player who builds his game around his sheer desire to play football. He plays for Newcastle-under-Lyme College and for Staffordshire County team and is able to play on either wing or up front. David is a very quick player with great dribbling ability which as lead to his nickname of Lightning. David supports Chelsea, however, his favourite footballer is Ronaldinho as he plays with a relaxed freedom that David looks to emulate. He is also strong sprinter, who has a gleaming trophy cabinet and even holds a stadium record for the 100 meters. David also holds Tanzanian nationality and is most looking forward to the Northern Ireland International. He is a big fan of Will Smith as he is a funny person who looks to bring joy into people’s lives, which anyone who knows David can see he has emulated. The Tomas Telford and Shropshire player, Harvey, is a strong left winger and striker. He grew up as an Arsenal fan but can be seen as a fan of excellent footballers as well. He lists his top two players he admires as Thierry Henry and Harry Kane, for their footballing intelligence, movement and ability to put the ball in the net. Harvey is a player who has been noted for his bravery and determination by his coaches and this is reflected in his favourite fictional character being James Bond. 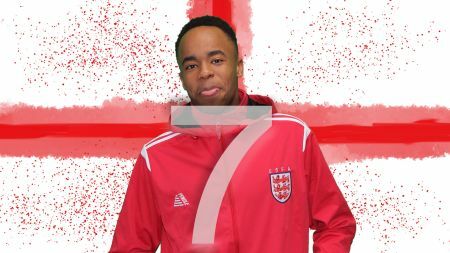 Outside of football Harvey is a keen tennis player in his free time and also holds a Duke of Edinburgh award. It will come as no surprise that when asked if he could change any rules about football, he instantly wished to take the offside rule out of football – truly a striker at heart. 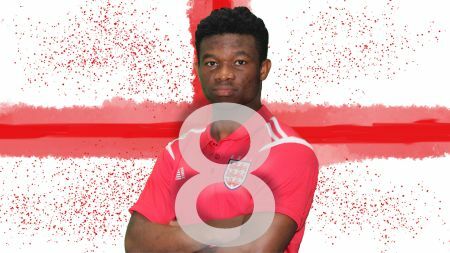 King joins up with the international squad having represented Hartpury College and Gloucestershire County teams, his technical ability and passion to play football combined with his light hearted nature has made him a pleasure to work with. The Ghanaian is an Arsenal supporter and has a clear understanding of the personal and technical attributes required to become an elite level footballer. He looks to Luis Suarez as his footballing role model for his never say die attitude and his sublime technical skill. He also shows a breadth of interest in football with his interest in Real Madrid and Chicago Fire, showing the ways in which he can be seen as a student of the game. His dedication is not only shown on the football pitch as he is top in his year at both English and French. His light hearted side as definitely shone through, with many people commenting on him being a delight to work with on and off the pitch.